Quilting is an enjoyable and relaxing hobby that is also a useful skill. You can create quilts that warm the body as well as the spirit. Throughout most of the history of quilting, if you wanted to learn how to quilt, you would have to find someone who knew how to quilt and ask her to show you. 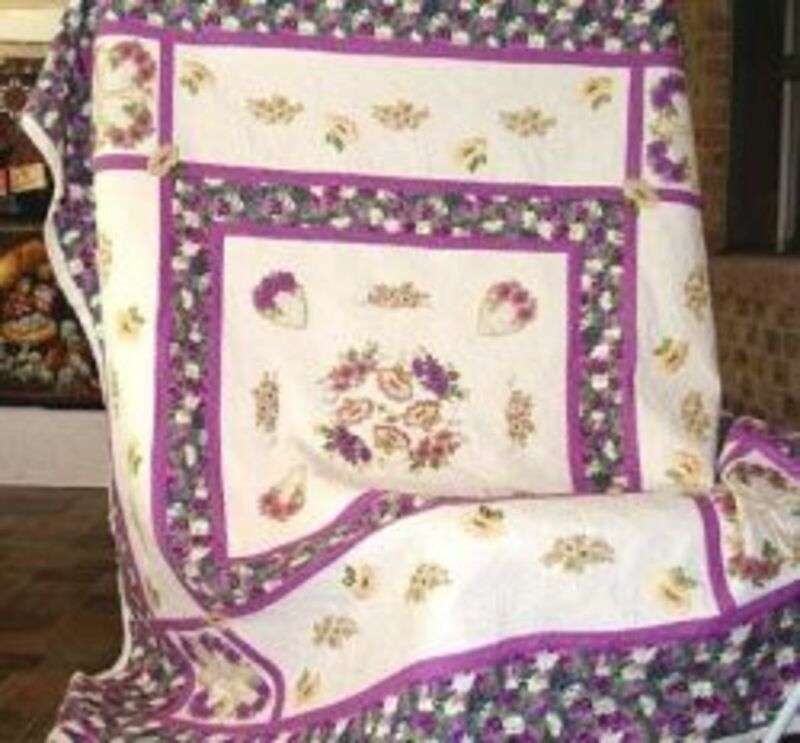 Generally, you would pick up the art of quilting from your mother or your grandmother. If you didn't know anyone who knew how to make quilts, you would have to figure everything out for yourself, and maybe even resign yourself to the fact that you would have to wait until you met someone who did. Quilt patterns would be shared with neighbors or ordered from a newspaper column. Then you would try to decipher the pattern and learn by trial and error how to make it. If you couldn't figure it out on your own, you may have to resign yourself to the fact that you would not be able to make that particular pattern. While it technically remains true today that you need to find a person who knows how to quilt, this person does not have to live in the same town, or even the same country as you do anymore. There are many ways you can tap into the knowledge of other quilters without leaving your hometown, or even the comforts of your own home. Quilts take a lot of time to make and fabric can be expensive, and, as a result, mistakes can be quite costly. Finding the best combination of resources to learn how to quilt can save you a great deal of time, money and aggravation in the long run. 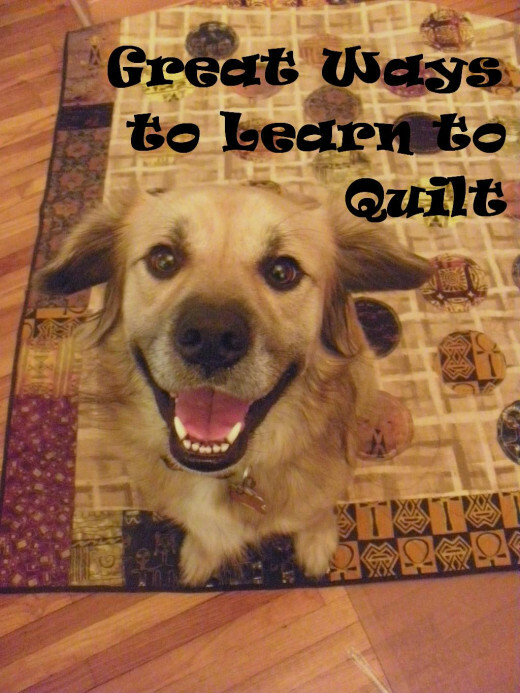 The tried and true method to learn to quilt is to ask someone to teach you. If you know someone who knows how to quilt, you can ask them to give you some lessons. She would probably feel honored to take another quilter under her wing. This, of course, assumes that your friend or family member knows how to quilt. It also assumes that she has the time and the patience to teach you this skill. As you get more advanced, you may find that you have learned everything you can from this friend, and may need to seek outward to find additional information. When I wanted to learn how to quilt, none of my friends or family members quilted. I had to find a way to learn through other means. Should I use cheap fabric for my first quilt? Some people prefer to use inexpensive fabric for their first quilt, considering their first quilt to be their practice quilt. This can be save some money, and allow you to make some mistakes without feeling guilty about wasting money. I personally recommend buying good fabric, because your first quilt will always be a treasure, whether you go on to make more quilts or not. If you become a famous quilter, people will want to see your first quilt. Find the prettiest fabric, not the most expensive fabric, so you can make a quilt that you will be proud to show. A quilt takes a long time to make, and you want the fabric to be worthy of the amount of time you will spend on working with it. There are several television shows about quilting. Some of them simply showcase beautiful quilts that have already been made, and talk about the artist, while others actually teach you the step by step process of quilting. Here are a few that can teach you how to quilt. Most of these are shown on PBS, and may be difficult to find or may be broadcast at inconvenient times. Simply Quilts was available for HGTV for a while. There are also some shows that are available only on the internet, and charge a subscription fee for some of the content. It is very tempting to skip the basic directions and skip right onto the beautiful photographs and quilts. If you do that, you will miss the fact that quilters use a 1/4" seam allowance, which is different from other types of sewing. If you use a different seam allowance, you may run out of fabric, or your pieces may not fit together properly. There are many quilting rules that can be broken, but you need to be able to foresee the consequences, and decide if you are willing to accept those consequences. The other big tip is to be sure to ask questions. There are a lot of quick techniques which makes some quilts that look like they are hard to make really easy. There are lots of quilting shortcuts you can take, so even if you are capable of making something one way, there may have been a faster way. There are also quilts that look easy to make that are really complicated. Ask about the difficulty level of patterns. Don't be afraid to make the difficult ones, but I recommend that you start with the easy ones to avoid frustration. There are many different charity organizations that make quilts. Whether it is for newborn babies, cancer patients, veterans, or another cause, some groups get together to sew quilts. A great way to get free instruction is to join one of these groups and watch the process. You can learn a great deal by doing one or two steps in the process and getting plenty of practice in that step. You can also watch the others and see what they do and don't do to complete the other steps so you can get a sense of the whole picture at one time. In addition, by being around all these quilters, you have plenty of resources to network and get your questions answered. These groups tend to be local, so ask at your local quilt shop or look for a quilt guild in your area. If you know how to sew, you may enjoy making charity quilts that you can send to someone in need, even if you don't make the quilt in a group setting. These groups will be more than happy to send you a simple quilt pattern that is meant to be quick and easy, and have members who will be willing to help you if you get stuck in any part of the process. Some of them will let you make the quilt top and have someone else put the quilt together. In this way, you can practice simple patterns enough times to really learn a particular technique, and not have the worry that your friends and family have to see the results. It also provides a nice warm feeling knowing you are sending some love sewn into a quilt to someone who needs it. There are many different books that are available for the beginning quilter, with colorful step-by-step instructions. They incorporate a great variety of different styles, so even if people in your area aren't making that style of quilts, you can still learn how to make quilts in that style. Books let you work at your own pace, without feeling like you need to keep up with the class or the teacher. Choose one that provides colorful step-by-step instructions with lots of photographs and provides instructions for beginners about equipment, techniques for choosing fabric, cutting, sewing, quilting and binding. It is generally best to get books that are geared toward the beginning quilter, but if you find patterns in more general or more advanced books, you can certainly try them. Many of these general books will have a rating system that gives you an idea about the level of difficulty. If you choose to start with an intermediate instead of a beginning pattern, you will have to be more patient with yourself, and be willing to rip out more mistakes. I prefer to borrow books from the library, so I can get a chance to examine them. Then, if I find that I like the author's style of quilts and explanation, I can buy the book for my own library. The internet is a treasure trove of quilting information. You can look for quilting articles here on HubPages and elsewhere, read blogs by famous and not-so-famous quilters, and watch how-to videos. Most quilters are very generous with their time and knowledge, and will happily answer your quilting questions. There are many free patterns, block of the month programs, and similar events, that you can find enough information online without ever having to buy a single book, magazine, or video. In addition, there are newsgroups and message boards where you can chat with other quilters. If you find an international one, you may be able to get your questions answered quickly, from different perspectives, no matter the time of day or night. You can even meet some of these quilters and go on a quilt retreat. The internet is a great way to meet other quilters from your locality and from around the world. These connections you make with other quilters can also help you in many other ways. If you want to travel to a different place, you are likely to find that one of your online quilting friends has been there and can tell you which quilt shops to visit during your stay. Should You Start with a Miniature Quilt? Making a small quilt is a great way to practice your skills. 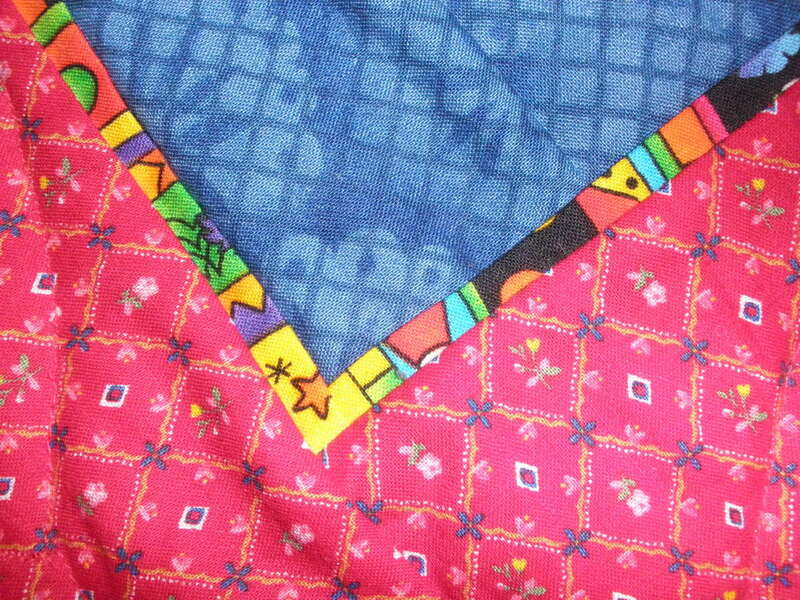 Big quilts are more difficult to maneuver around a sewing machine especially to quilt, and tend to have more pieces. However, miniature quilts are not recommended, since they are small versions of bigger quilts. The smaller the pieces, the more important the accuracy, for piecing as well as for applique. A baby quilt or a lap quilt would be great ways to start. They provides a good balance between miniatures and bed quilts. 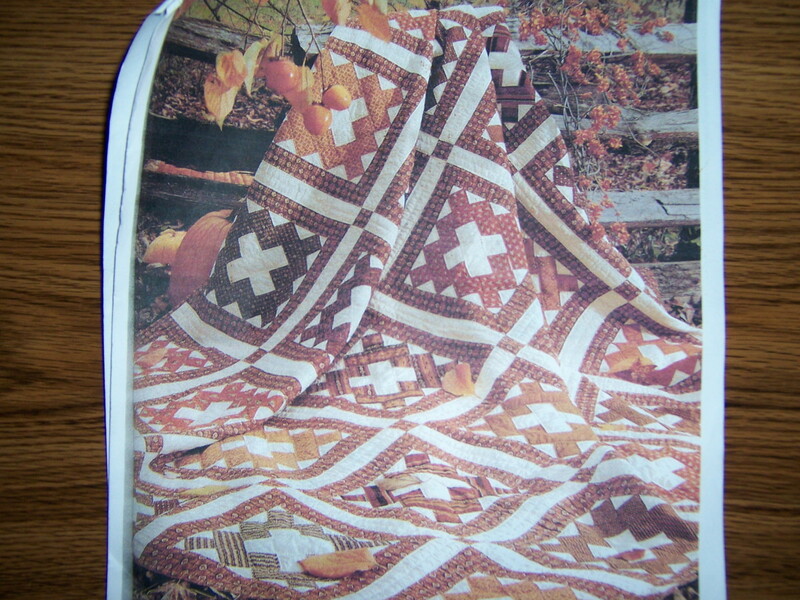 A quilt magazine will provide a variety of patterns, and will also have a section for beginners. You can catch up with the latest happenings in the quilt world, and find out about quilt shows, famous quilt designers, new fabric lines, and new techniques and tools. Since there are many different designers in each magazine, you will generally see a variety of styles, techniques, and colors, making it easy to choose the ones that appeal to you. 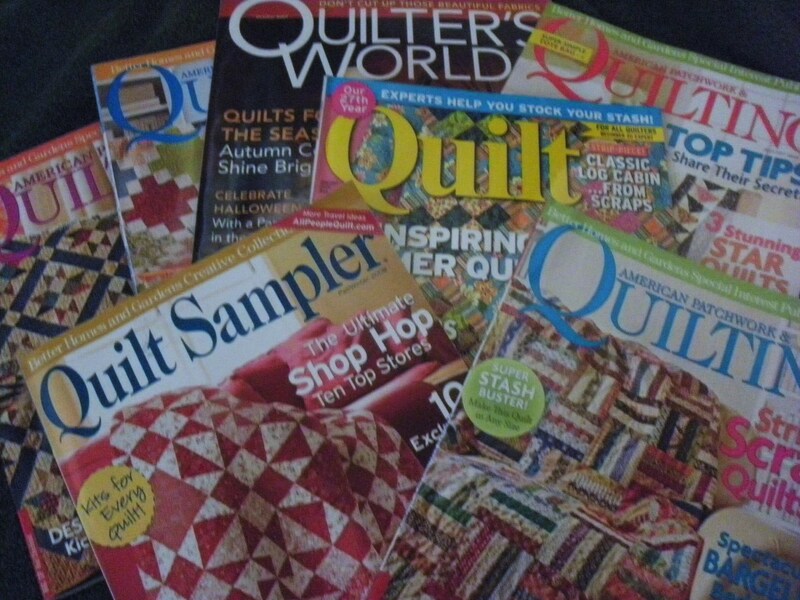 Reading these magazines will teach you a great deal about quilts, and over time, may give you the confidence to make your very first quilt. My first quilt was made from a pattern in a magazine. Many quilt teachers and quilt shops offer videos on how to make particular quilts or do certain quilting techniques. It is great to be able to see the work being done in action, especially if you are a visual learner. A video helps you understand things that the teacher may assume you already know. For example, when I first started quilting, I did not know that you could stop the sewing machine before you were finished with the piece you were working on. You can't stop driving in the middle of street, and somehow I assumed it was the same for sewing. It wouldn't have occurred to me to ask because I didn't realize I was wrong. You can stop sewing to adjust the pieces or even take a break anytime you want. Seeing someone actually stop before they were finished helped me learn this fact without embarrassment. You can buy these videos from a quilt shop, either locally or online, or from big retailers such as Amazon. There are also lots of videos available on the internet, such as the ones that appear on this page. If you find fabric selection daunting, you can pick up a quilt kit from a quilt shop. The shop has taken a pattern, and has chosen fabrics that will work well for the pattern. It has determined the amount of fabric you will need for the pattern, and has cut it and packaged it all in a handy kit. In this way, you can simply start cutting and sewing when you take it home. Many times, you will have a choice of a variety of kits and fabric choices so you can simply choose the one that works best with your taste. This saves you time agonizing between different fabrics, and waiting for the shopkeeper to cut the fabric for you. Be sure to ask the quilt shop whether the particular kit is recommended for beginners. When you are learning any new skill, you are almost guaranteed to make mistakes. It is unrealistic to expect perfection from yourself. Consider them to be learning opportunities. Figure out what you did wrong and learn the lesson and move on without any negative thoughts. Simply use your seam ripper, undo the mistake in the sewing, and sew again. A block of the month program, whether you participate with a quilt guild or a quilt shop, lets you make just one block a month. Usually these are different blocks, so you can try new techniques and expand your skills by making just one block. Directions are generally provided, and depending on the program, so is the fabric. 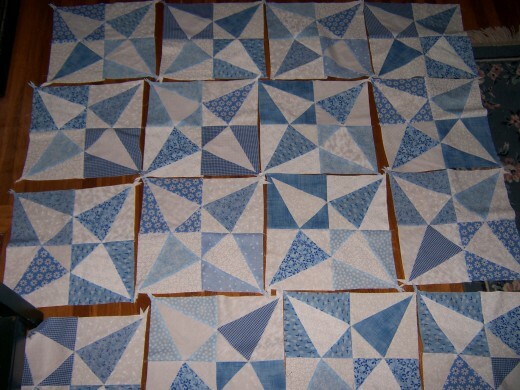 This keeps the pressure down, and over the year, you will generally have made enough blocks to make a whole quilt. Many quilt shops offer classes periodically on how to quilt. Most of them will have the entire class make a particular quilt. This is a great way to see how different combinations of fabric work together, and get step by step directions. Having a teacher whose job is to teach you to quilt in a classroom setting is beneficial. This way, even if you don't know the right questions to ask, you will get the instruction you need. Since you are joining a group of quilters, the prices are likely to be more reasonable than personal instruction, and you get the camaraderie of making a quilt together. Another bonus to taking a class is that many of these classes have sewing machines that you can use. If you don't already have a sewing machine, you can learn about different types of machines and decide which ones you like. If you do have a machine, having one available in class keeps you from having to carry your machine to class, but if you want to use your own machine, your quilt shop will probably not mind. Even if you don't take a class, and have a question, you can generally go to a quilt shop and ask. Most of the people who work in a quilt shop will be happy to take a minute or two to teach you a simple skill or explain something, or direct you to the answer as long as other customers aren't waiting. Quilting is a rewarding, relaxing, and enjoyable hobby. Learning how to quilt can be stressful if you aren't aware of the resources that are available to you. You no longer have to struggle alone. By using these ten resources to learn to quilt, you can avoid the frustration and go straight to the making beautiful quilts that show your family how much you love them. No longer are you limited to finding a friend or family member who knows how to quilt. By taking advantage of the many resources we have available today, in the form of videos, books, and the internet, you can learn how to quilt in whichever style of quilting you prefer. You can network with and become friends with quilters from around the world. Keep up with news and happenings in the quilt world. Once you meet them on the internet, you can meet them in person at quilt retreats or charity sewathons and become fast friends. In the attempt to learn how to make a quilt, you will find that you will gain so much more. You will form networks and connections, find enjoyable ways to spend your time, and fully immerse yourself in the pleasure that is quilting. Comments: "10 Great Ways to Learn How to Quilt "
Thanks MartieCoetser. I'm glad you enjoyed it. Awesome hub about quilting. Love it! Thanks Gail. 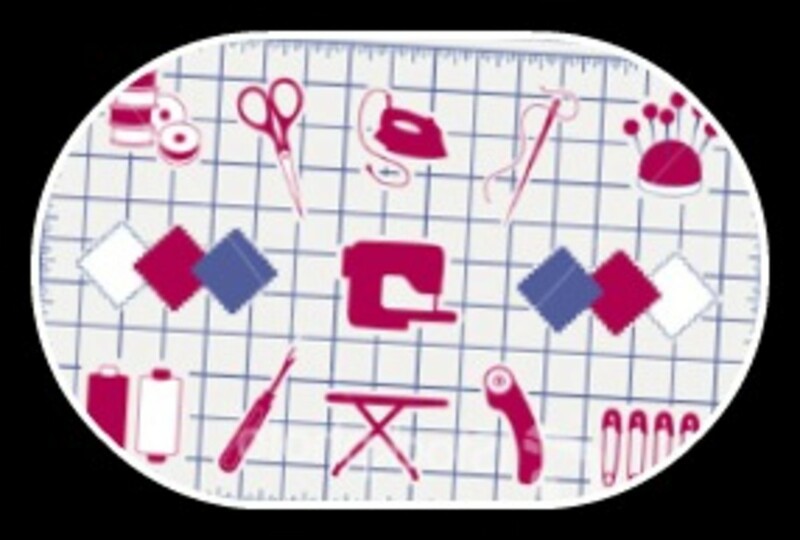 Experienced quilters are a great resource, but only if they take your beginner level into consideration. I'm glad you persisted and found the online videos so you could learn. These are some great ideas to learn how to quilt. I learned to quilt almost entirely by watching online videos then trying it myself. My aunt tried to show me several years prior to that, but I was not really interested at the time and she was so far over my head! She has made more than 120 quilts and was starting me out with a quilt of the month from a local quilting shop. The quilts are stunning, but it was too advanced for a beginner. Voted up! Hi Audrey. Quilting can be difficult, especially if you compare your work with those of a master quilter or those at the quilt show. They are so humbling, aren't they? But a quilt doesn't have to look like those. Look at the wonderful Gees Bend quilts. It is the love and the freedom and the artistry that goes them that matter. They are going to keep someone warm as much as one from the quilt show. Allow yourself to make mistakes and learn from them. You will make mistakes; everyone does, even the master quilters. 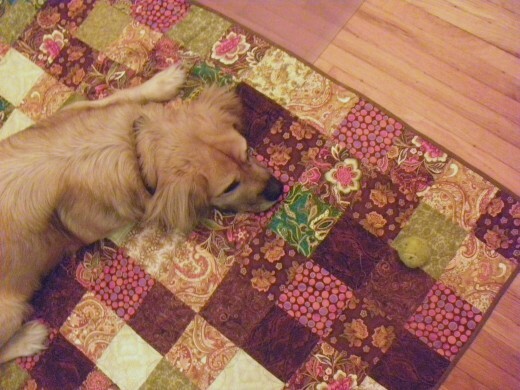 Besides, you can't be a master quilter without putting a lot of time into quilting. Thanks for your visit and comment. I actually think that quilting is difficult--all the more so since I have a sister who is a master quilter and wins competitions at the international level and I can't seems to get the pieces to come together correctly--wonderful hub! Thank you for your comment and compliment mvillecat. I enjoyed writing this. What a complete and fabulous guide to quilting. I voted up. Sherry, there are certainly a lot more options out there now than there were when I was learning to quilt as well. I did take some classes which helped me learn much faster. Thanks for your comment. I've made probably 20 quilts in my lifetime. The first few were "rustic," absolutely functional quilts made from scrap fabric and not much to look at. Over the years I've gotten better, entirely self-taught through the trial and error method. I could have used your advice about 30 years ago. It's nice that today's beginner has so many options. Thanks for a great hub. Thank you moonlake. When I am making the more complicated ones, I like the simpler ones better, and when I make the simpler ones, I like the complicated ones better. Now I try to work on one of each at the same time, so I can alternate. Great hub. I love the pinkish quilt your dog is laying on in the little squares. I love simple quilts. I don't know why I'm just not crazy about making real fancy quilts. Call me crazy, I have friends that make beautiful quilts. Love your dog. Voted Up. Thanks for your comment Aurelio. That is a great question, and I meant to cover that in the hub. Thanks for reminding me. You're right, making a small quilt is a great way to practice. Big quilts are more difficult to maneuver around a sewing machine especially to quilt, and take a lot more work to piece. However, miniature quilts are not recommended, since they are small versions of bigger quilts. The smaller the pieces, the more important the accuracy, for piecing as well as for applique. 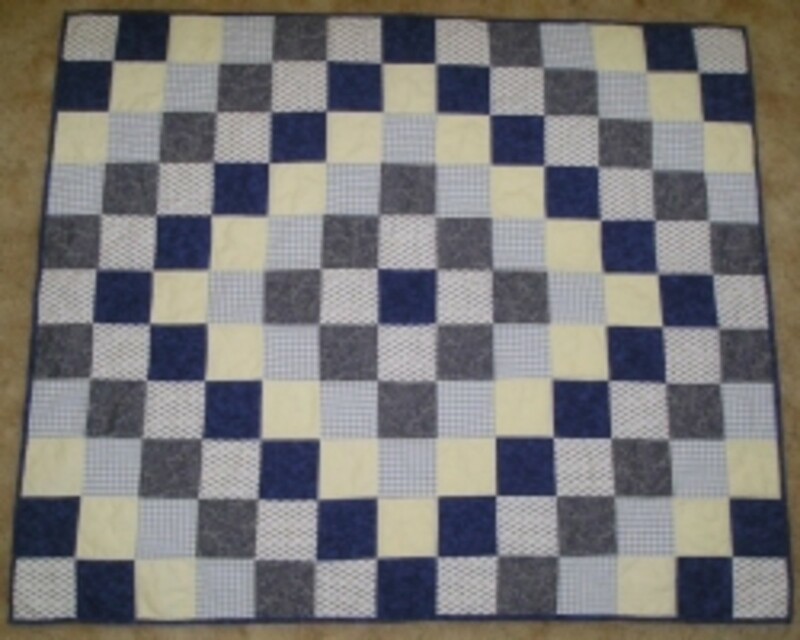 A baby quilt or a lap quilt would be great ways to start. They provides a good balance between miniatures and king size bed quilts. Probably the most comprehensive hub I've seen on quilting. I like the two videos and the advice that you should consider any mistakes a learning opportunity. That latter piece is good enough for any hobby. I'm wondering if you can also make a small or miniature quilt first as practice, so you can find any mistakes, before working on a big one. Voting this Up and Useful. Thank you teaches12345. He is a happy dog. I'm glad your son has quilts to remember his grandmother by. I have taken some classes, and it is great to get the camaraderie in addition to the quilt instruction. Thanks Dbro. 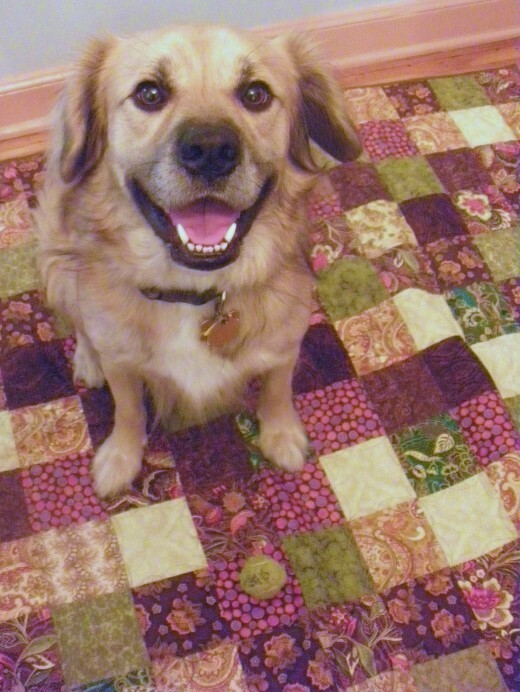 I am glad you got a chance to learn quilting from your mother and grandmother. I learned to sew from my mother, but she didn't make quilts. The dividers are graphics from a box of 300,000 graphics by Art Explosion. You get the license to use them anywhere you want when you buy them. Most people use cats to model their quilts, but I think Zeus does a great job. Thanks randomcreative. That's true - most of these would apply to other crafts and other things you would want to learn as well. When I first started to quilt, I wondered how to get the information I needed, as all of these ways to learn were just opening up to me. Awesome resource, Shasta! There are so many great methods for learning new crafting techniques, many of which are inexpensive or free. Many of the tips that you've shared here can be applied to other techniques, such as knitting. Thanks! Fabulous Hub, Millionaire Tips! So much good advice in one place. I am a quilter, who learned how from my mother and grandmother. I was blessed to have them available and willing to teach me. Your advice is great for people who do not have this kind of resource. On a practical note, how did you insert those wonderful "dividers" between the capsules in your hub? 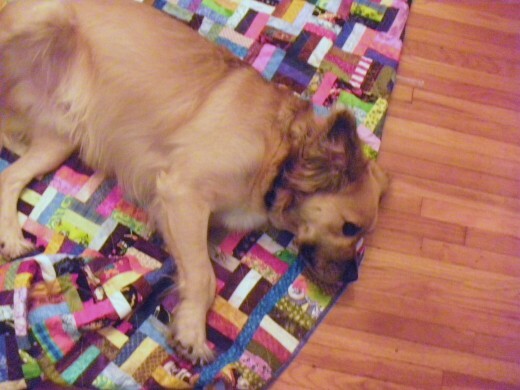 Also, the little dog is a great way to "model" your quilts. It adds a cute, appealing touch! This is such an enjoyable hub read and very well covered. I love your dog, by the way, he looks like a friendly fellow. My mother made so many quilts in her lifetime and often gave them away as gifts. My son has a couple that he treasures. I also remember that she would get patterns from friends, as you mentioned. I would probably have to join a group and take some classes to really be a good quiltmaker. Thanks for sharing. Voted up!